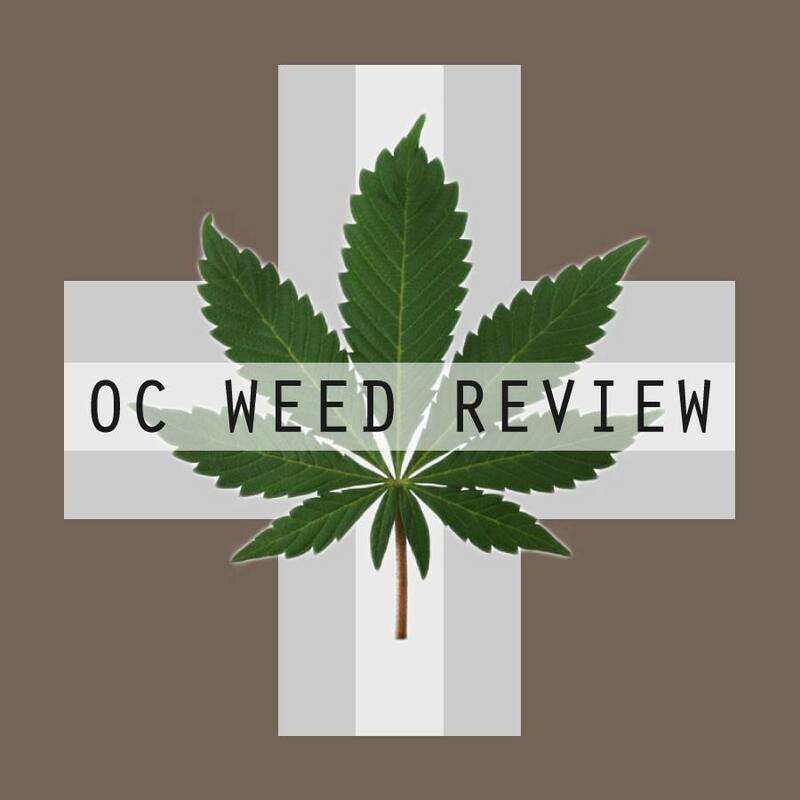 This week we are reviewing Grape Wreck from ABC Cooperative in Garden Grove. I’ve driven past this collective many times headed to Zen O.C. and other nearby dispensaries, but I had no idea it existed until a few days ago. I get paid every other week, so I go from rich to poor and back in my weed habits pretty quick. Last week I was smoking $55 eighths; this week I have forty bucks to my name. After checking weedmaps for a menu fitting my tighter budget, I came across ABC Cooperative. They had a wide variety of strain prices, including several at $20 an eighth and under. I chose an Indica dominant hybrid, as I tend to do, as well as a couch lock Indica, Blackberry OG. Each 1/8 cost me a twenty, and I felt like I made out well. Grape Wreck is a mix of Grape Ape and Trainwreck. A heavy Indica dominant hybrid, this strain will give a weighted stoned effect. I was often dazed and forgetful. Physically, the high was quite present as a pain killer. It wasn’t overpowering though, and of the two strains I picked up, I felt it was the better daytime pain relief. Thanks in part to the Trainwreck lineage, there is an uplifting, talkative quality as well. The nuggets I got in my eighth weren’t spectacular or interesting. They were average in size for most dispensary strains, and although you could see a shine to them under the light, they weren’t very frosty. They were, however, very sticky to the touch and often pieces would stick to my fingers when I broke it up. It had a white grape scent, like a flavored cigarillo or a poor white wine. It was funky and sour smelling. Not very pleasant. However, for $20 an eighth, it is an exceptional deal. It took a bit extra to get a satisfactory high, but at that price, I didn’t feel guilty throwing it in a blunt or joint. My arthritis had been wrecking havoc this week, so I decided to try out another potent Indica to try and help dull the ache. This time an Indica hybrid, Deadhead OG. The parenting of this strain is Chem Dog ’91 and SFV OG. Fabled to be a very strong Indica high, I was eager to go home and put it to work. The buds were dense and thick, about the size of a Sacajawea dollar. The trichromes glittered in the light, and there seemed to be an abundance of them. The buds were spotted with light lime green and dark forest green areas. The hairs were a burnt sienna for any artists or crayon aficionados. The smell was both skunky and citrus. It wasn’t a noticeable or distinct smell, but it was certainly there. The taste was a mimic of the smell, but also seemed earthy, even a little musky. The smoke was milky and harsh when concentrated in say a bong. Like most Indicas, there was quite a bit of tar to the ash, and it collected in the blunt’s roach. This jar from Zen OC was very dry. I often make the argument for using small sample jars for customers to handle rather than allowing the handling of the selling stock. I have yet to run into a bait and switch situation, and the quality of the medication is greatly improved. Usually when I get a dry eighth, I drop it in a glass container with my humidifier stone, so this is rarely an issue. However, I lost my humidifier recently and have to suffer in knowing how the other half lives. The buds were so brittle that the trichromes cracked off when I broke up to medicate. This said, after I was done packing my bowl, I had a nice little pile of kief to sprinkle on top, speaking volumes of the potency and THC content of this strain. I would recommend using Deadhead OG for pain relief and insomnia. Works great on my arthritis and is purported to reduce pain from migraines, sore muscles, and surgery. The high is heavy, like most Indicas, giving that couch lock effect. However, the Sativa, Chem Dog ’91, in it also brings a secondary uplift and mood enhancer. This is a secondary effect but is the reason I enjoy hybrids. I also tended to doze off after medicating and would use this for insomnia due to pain, stress, or other symptoms. Treat this strain as you would most prescription pain medications. Be cautious of driving or handling heavy equipment after use. Sad Halloween is over? The larger harvest season still has plenty to offer, as attested to by the many pumpkin flavored products on the market. Pumpkin lattes, beer, shakes, muffins, coffee creamer, donuts, and now marijuana. Kind of. Last Friday I headed up to Aloha in Santa Ana to grab an eighth. I knew I was going to get a nice Sativa hybrid, Bubbleberry most likely, but if I split my eighth like I usually do, what would the other strain be? The patient in front of me had out Pumpkin Pie OG, and I was intrigued enough to try it out. Those of you who follow my reviews know I am a sucker for flavored strains, and I am a big fan of the pumpkin flavor in general. The nuggets were dense and dark green, and the brightest orange hairs grew in great clumps on every side. I exhausted my research skills trying to find the lineage of this strain with no luck. Several local and out of state dispensaries were carrying some variation on this name: such as, Pumpkin Pie OG, Pumpkin Spice OG, or Pumpkin Kush. However, no one seemed to know the mix. After bringing it home and preparing it for a smoke, I decided it was either an Indica or Indica dominant hybrid. The small, dense buds and earthy, almost nutty smell certainly supported this intuition. Alas, nothing about this medication other than its color suggested pumpkins. I have recently seen strains of both California Orange Bud and Orange Crush that seem close matches genetically to Pumpkin Pie OG. This may suggest possible parenting. However, most likely these pumpkin themed buds are just renamed variations of orange Indicas. The smoke was thick and overpowering. To put it plainly, this weed stinks. Not in quality, but in smell. Both my strains this week are skunky smokes with noticeable aromas. I am sure my neighbors are pleased. I coughed quite a bit using both bowl and blunt, and the ash was sludgy with tar. Because of the way most Indicas fluff up when ground and their tendency to smolder when lit, I suggest smoking this one in either a blunt or joint. The high was heavy in the shoulders and eyes. I felt stoned, dozy and unproductive. My mind was foggy, and I kept walking into rooms and forgetting why. Great as a pain killer or sleeping aid; I slept soundly and untroubled for 8 hours, and my arthritis was less invasive in my daily routine. This is a personal high, not a social high. I suggest medicating only when you have no responsibility forthcoming or before bed, as this strain will quickly end any plans you may have had.